This week, Californian pedal manufacturer Strymon was hosted by Mark Knopfler’s famous London recording studio: British Grove. The evening was organised by the MPG (Music Producers Guild) as part of their “Under The Hood” series, which enables a selected audience of producers and musicians to conduct sonic experiments with interesting gear. 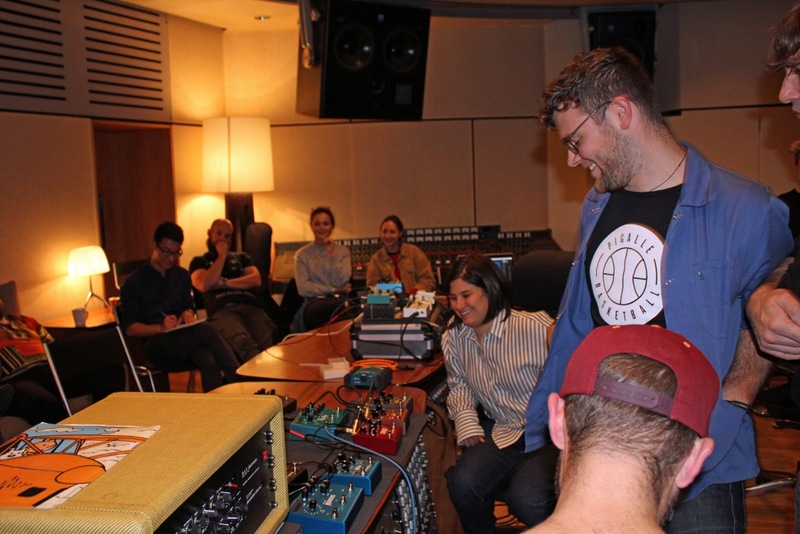 We took along a collection of pedals* and placed them in the capable, (but critical) hands of producer engineers; Steph Marziano, Brett Cox and Sean Genockey. With MPG Executive Director Andrew Hunt moderating, they chose pedals at random and ran various stems as well as live guitar and bass through them to get a feel for what they’re about. However, because engineers are an experimental bunch, they were keen to push the pedals beyond their prescribed usage. So, female vocals went through Flint and El Capistan (tremolo & tape delays); Trumpet recordings fed Ola (chorus & vibrato); Drum stems got the ambient reverb treatment from BigSky; and, perhaps more conventionally, Lex undertook Leslie duty on various keyboard parts. The effects-noodling naturally raised a few design questions which we dutifully deflected onto three of Strymon’s owners: Greg Stock, Pete Celi and Cosi Hattori who joined us via skype from the Strymon’s U.S design lab to round off the evening with a lively Q&A. 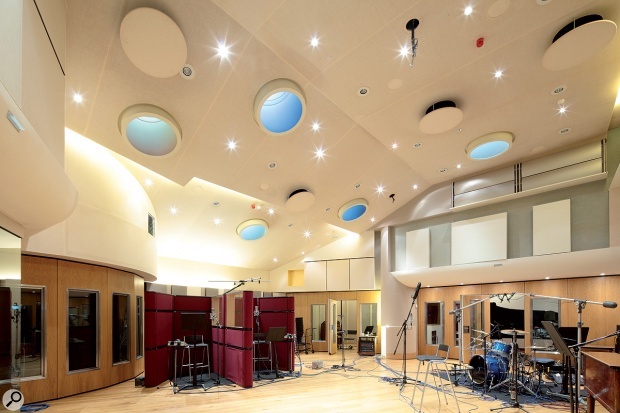 Mark Knopfler created British Grove Studios as “a monument to past and future technology”. It is perhaps one of the few remaining zero compromise studios that remains operational in the UK. 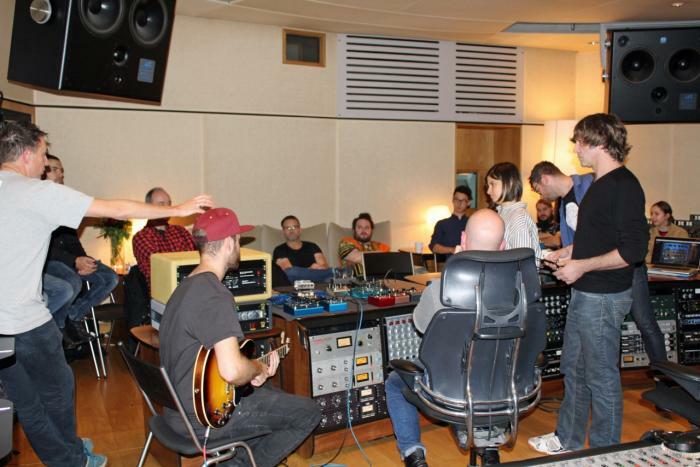 The facility has hosted album recording sessions with Dave Gilmour, Eric Clapton, The Rolling Stones and many more. The MPG is a community of recording engineers and music producers. It provides a platform for collaboration, networking and recognition of talent through events series’ and initiatives - including the annual MPG awards in London.